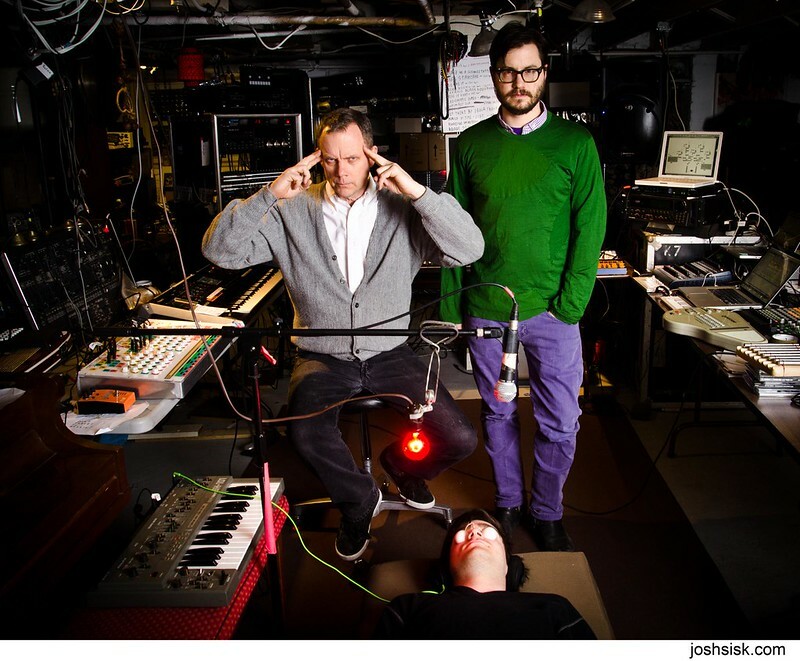 I spent a pleasant afternoon in Matmos’ Baltimore City studio, photographing them for a recent XLR8R piece on their studio, their gear, and their new album. 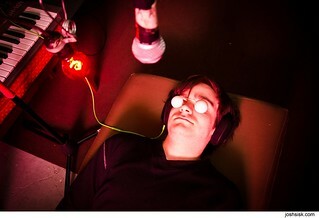 A really interesting pair of artists, they explained some of their process and a lot of their gear to me, and they even demonstrated the basic concept of how they came out with the concepts and raw material for their new album – having a friend of theirs undergo sensory deprivation and describing the music that he heard (pictured above). A really cool shoot. 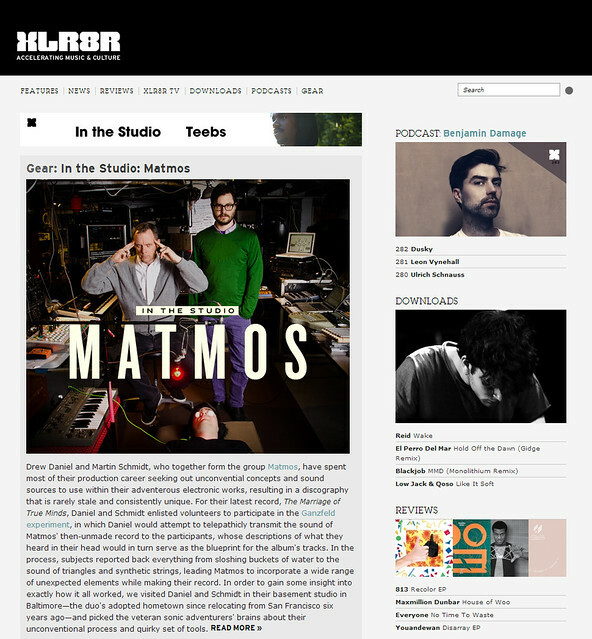 Read the XLR8R feature here. 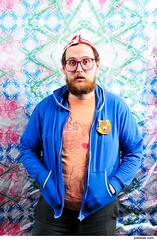 Dan Deacon portraits for XLR8R Magazine. 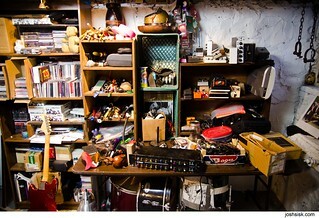 I shot these with Dan in his house in… 2009? Wow. Don’t know why I never posted these. 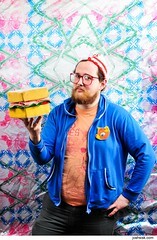 These were for XLR8R Magazine, which no longer exists in printed form (RIP). The fabric in the background is the fabric that was used (he had it hand-made) for the tent that is on the cover of Bromst (which was photographed by the lovely & talented Baltimore photographer Frank Hamilton). 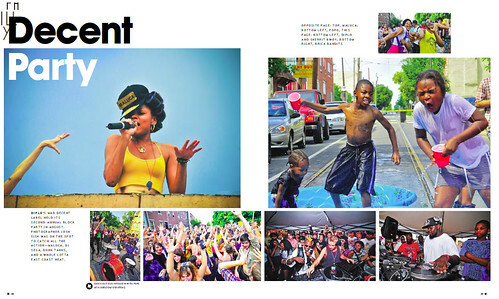 I have the above two page spread on the Mad Decent Block Party in this month’s XLR8R. On newstands now. 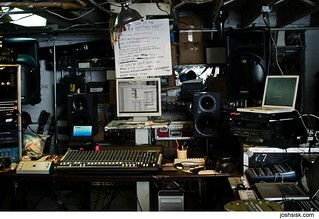 Or download it at xlr8r.com. 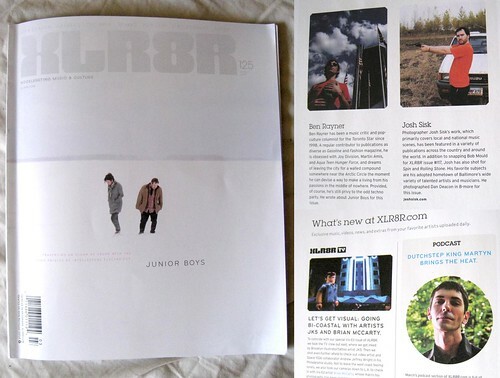 my work in XLR8R this month. 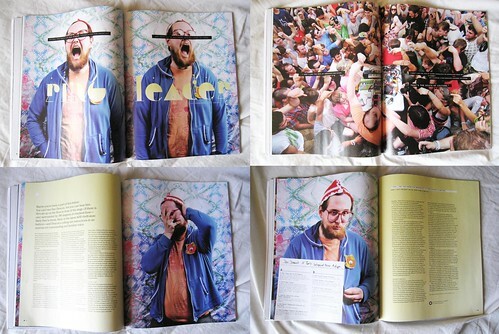 This month in XLR8R (#125, the March issue), I have a 8-page spread about Dan Deacon, a photo of Dutch dubstep artist Martyn, and then a contributor profile of myself (featuring a photo of me by my Dad!). Should be on newstands now! Pick it up. 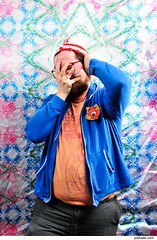 Feature on Martyn, a european DNB artist who recently moved to the DC area.